Fire Garden supremo Zee Baig certainly hasn’t skimped on the guests for his band’s second full-length album. Not only does Dream Theater’s Jordan Rudess appear from the clouds like a glorious keyboard messiah in the song Life Of A Drifter, but former Spock’s Beard tub-thumper Jimmy Keegan is behind the kit too. Oh, and the whole shebang has been mixed by Bruce Soord. But what’s beyond the star appeal? 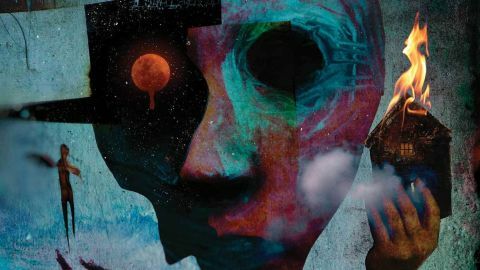 Far And Near is markedly more mature than the Chicago outfit’s 2014 debut record Sound Of Majestic Colours, with the thoughtful title track opener juggling melancholic piano and vocals in ways only Steven Wilson can, while the closing Diary Of The Blood Moon chucks slabs of growling post-rock guitar left, right and centre. Things seem to lose momentum a little when the pace wilts, with the dozy 90s alt rock undertones of A New Day snakecharming the finger towards the skip button, but when it’s done right, it’s done right. Try Faint Shadows for instance, which shudders with spiky, P-Tree-inspired riffs and gets under the now-prickly skin with dark, dirgy doom. ‘Give me your body and your soul, give me your dying wheeze,’ Baig breathes, and when he’s at his most compelling, you’d have a hard job turning him down.